We set off in the rain for Rocky Mountain National Park. We figured with the rainy weather, we would have rain, clouds, and fog at higher elevations but today is our only chance to see any of the park this trip. 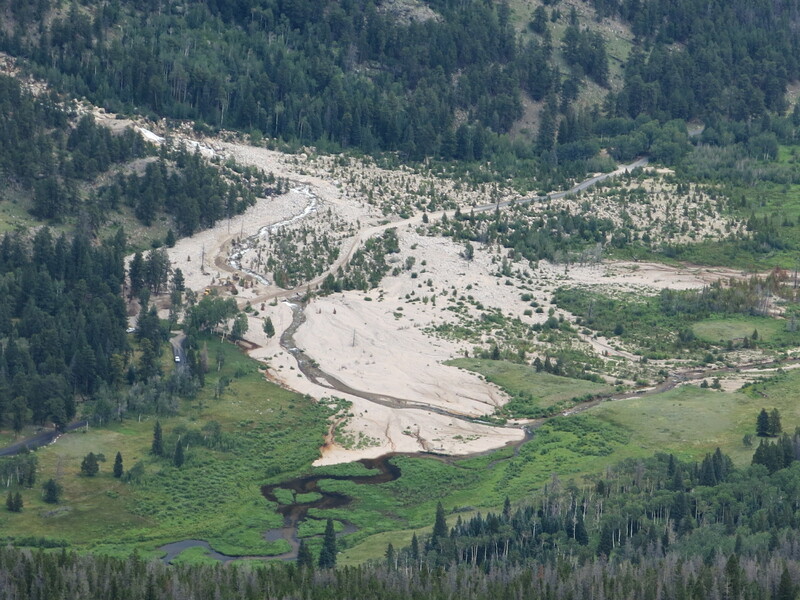 We found one of the main roads into the park closed due to flood damage (historic flooding/mudslides September 2013). there is a lot of water in that stream! 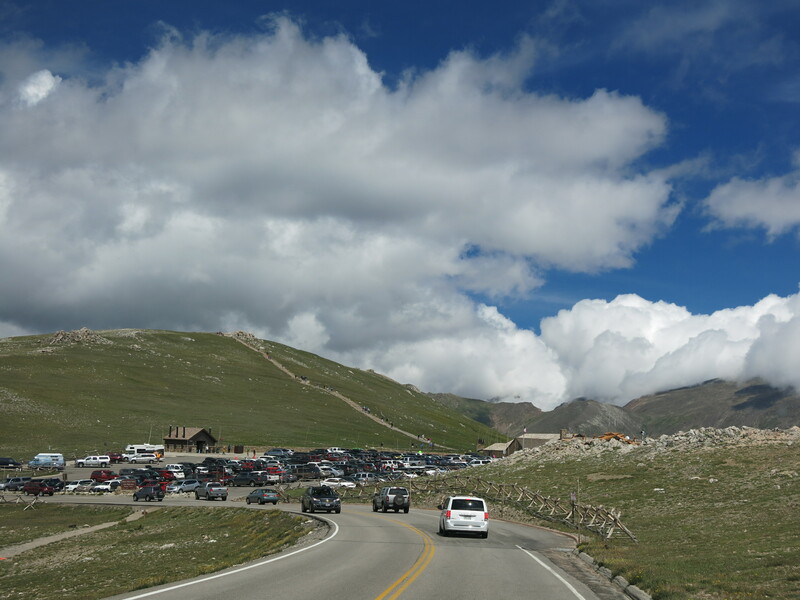 Armed with information and my passport stamp, we figured we had time to drive Trail Ridge Road, making a few stops along the way to enjoy the views, smell the lovely pine trees, hear the rushing streams, and look for wildflowers. 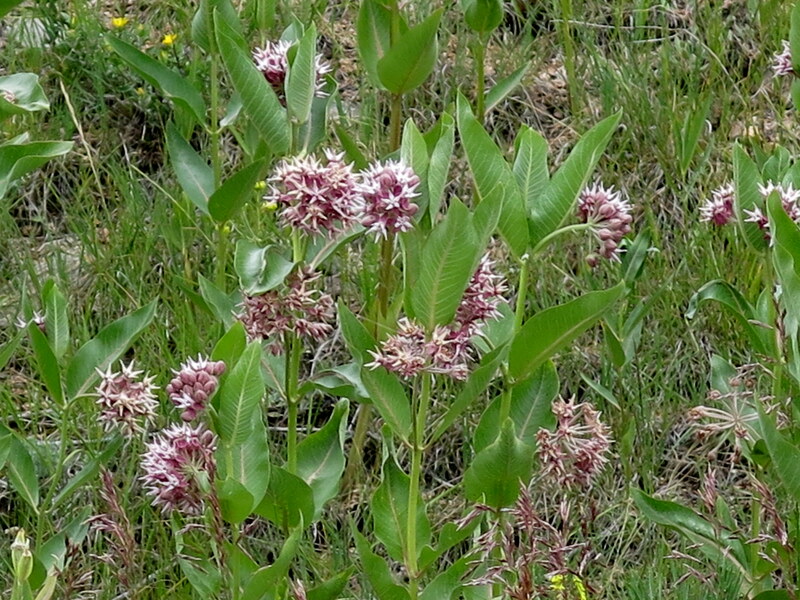 Showy Milkweed (Asclepias speciosa) – RMNP – Life zone: Plains, Foothills, Blooms: July, August. 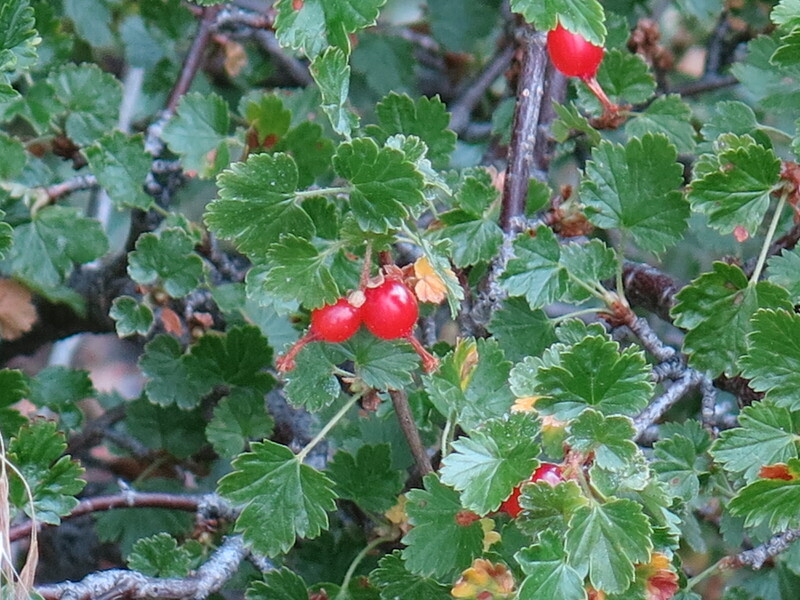 Found in clumps along roadsides, streams, irrigation ditches. 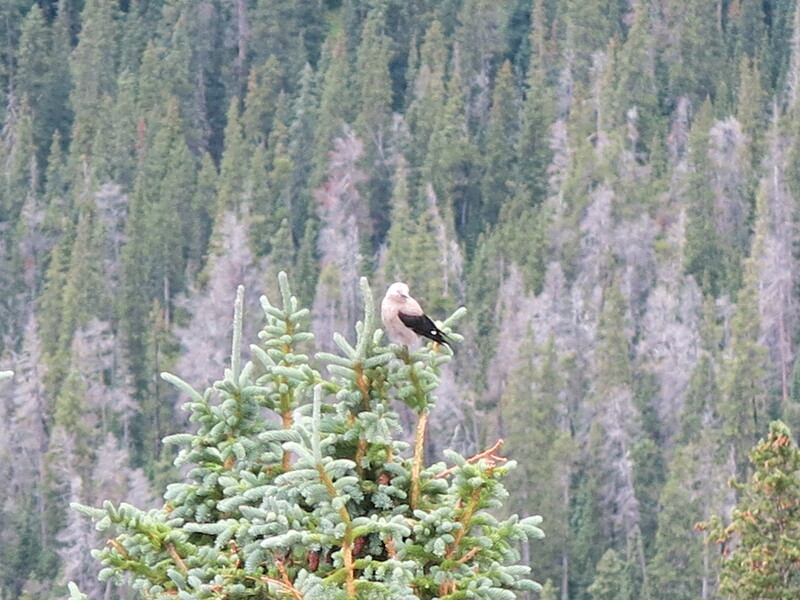 Common throughout the Rocky Mountains. new pine cones growing on Loblolly? 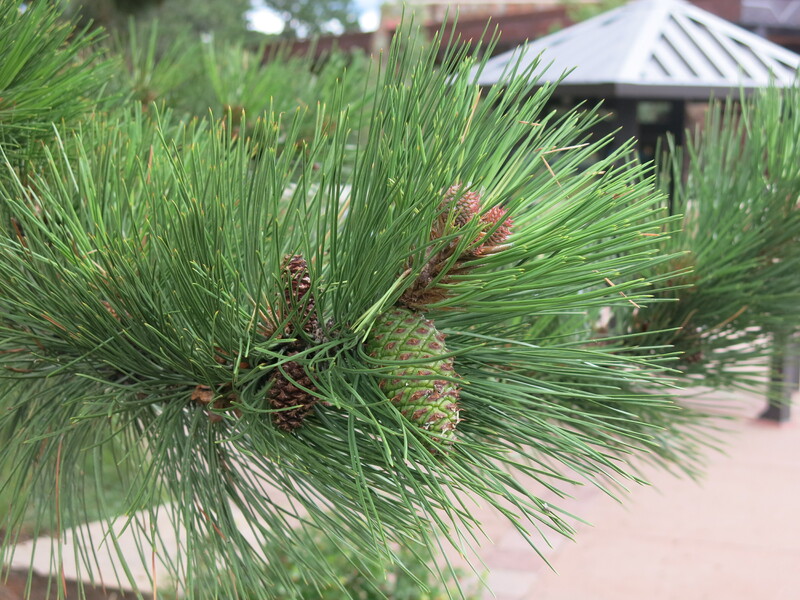 Pine Trees… 2 needles per bundle, needles about 3 inches long, but the pine cones threw me off here. Anybody?! The park felt crowded, with lines of cars poking along the road and few pull outs to let faster drivers pass. There were cars everywhere… parked along the roadsides for trails, in pullouts. I saw rafters, rock climbers, hikers, kayakers, bike riders… a lot of people enjoying the outdoors, no matter the weather. I can’t imagine how it will be this weekend, with great weather. 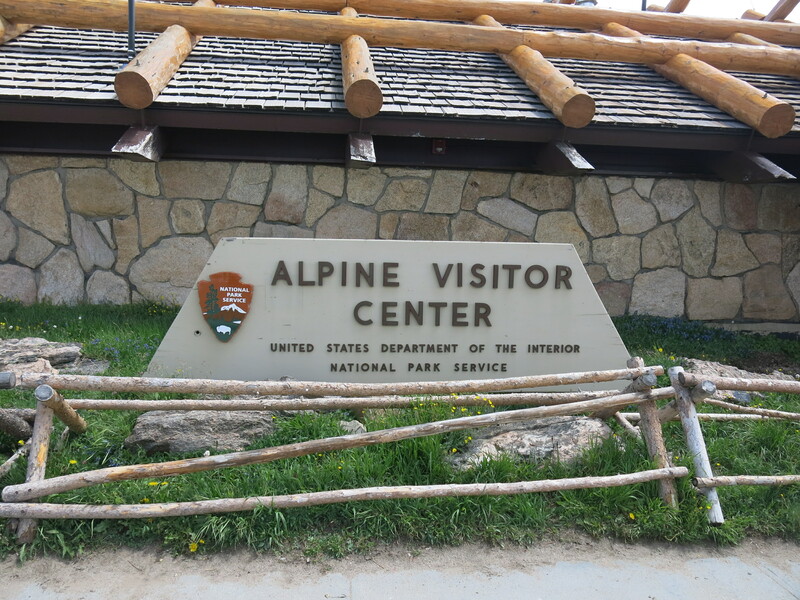 We stopped at the Alpine Visitor Center and took a walk on the trail. 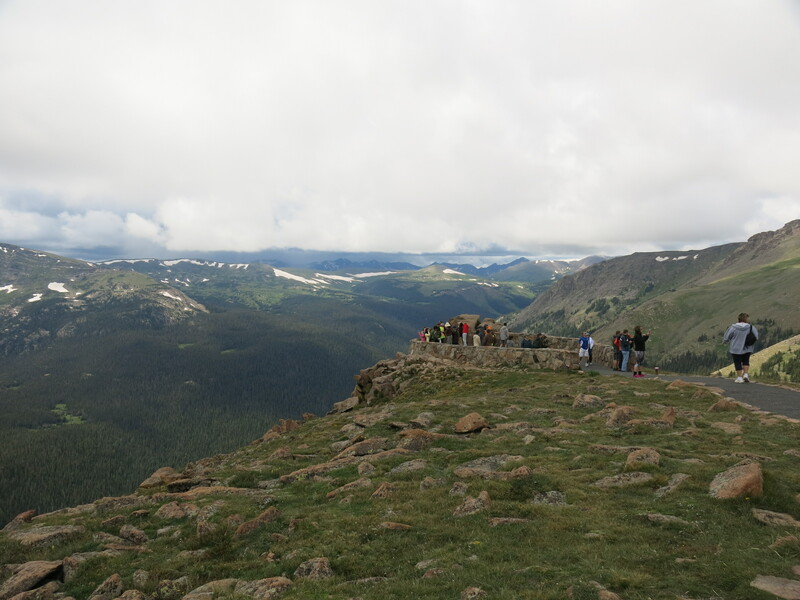 There were a lot of wildflowers in the alpine tundra. Oxeye Daisy (Leucanthemum vulgare) – non-native – An early introduction from Europe into the eastern U.S. species, now invasive in the Rocky Mountains. impossible to get a photo through the drivers window from the passenger side of the truck, but you get the idea… the Scarlet Paintbrush were a gorgeous shade of deep rose. One often sees the best wildflower displays when there is absolutely no place to pull over and park for a photo! 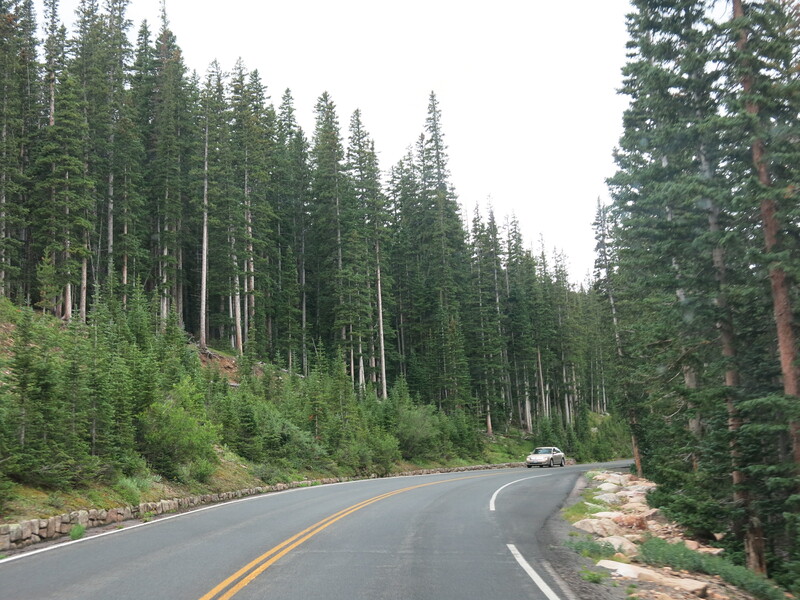 We were driving in mountains with at least a half dozen peaks over 12,000 feet elevation. 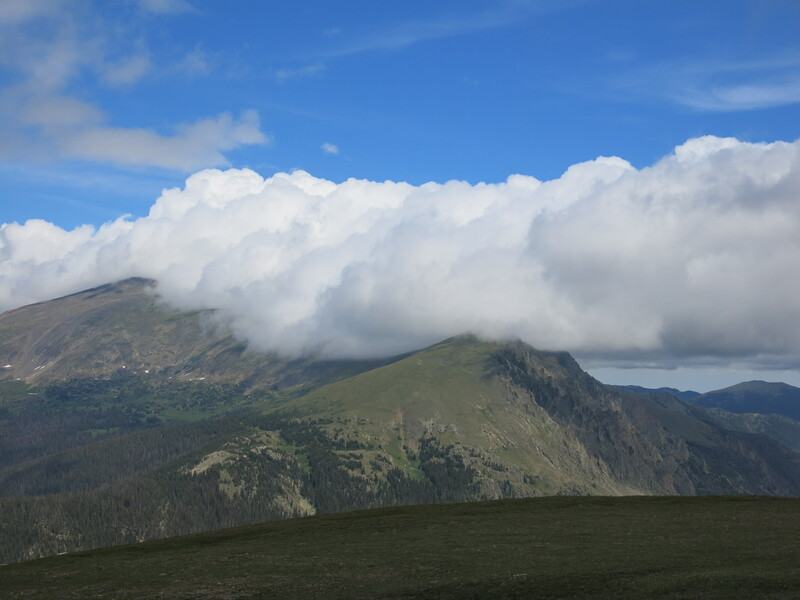 You could clearly see the timberline at 11,500 feet or so and the alpine tundra at the tops of the mountains. There were still a few small snow fields on the high mountains, although the meadows near the road were all clear of snow. We saw a few streams with great volumes of rushing water, and just a few small, thready waterfalls, seen from a distance. It was getting late and we still had a ways to drive before reaching our RV park. 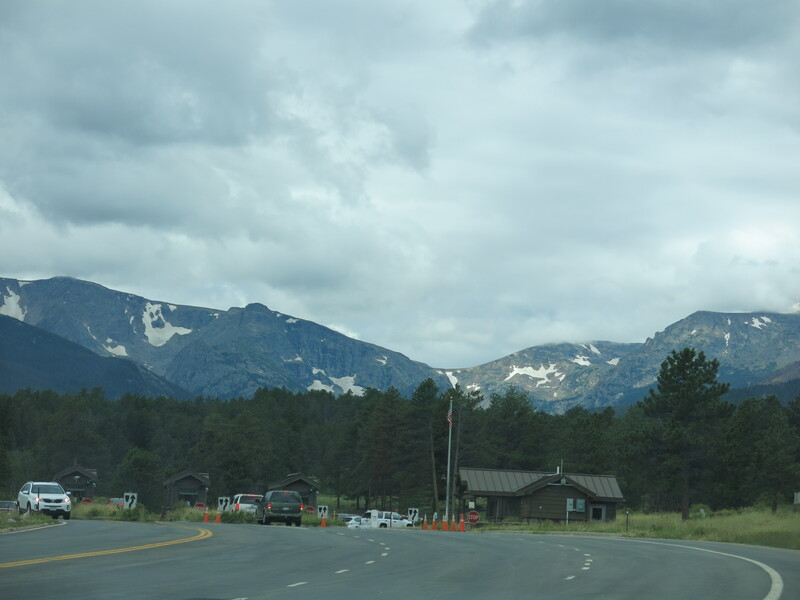 Leaving Rocky Mountain NP, we drove through the Arapaho National Forest and the Arapaho National Recreation Area. 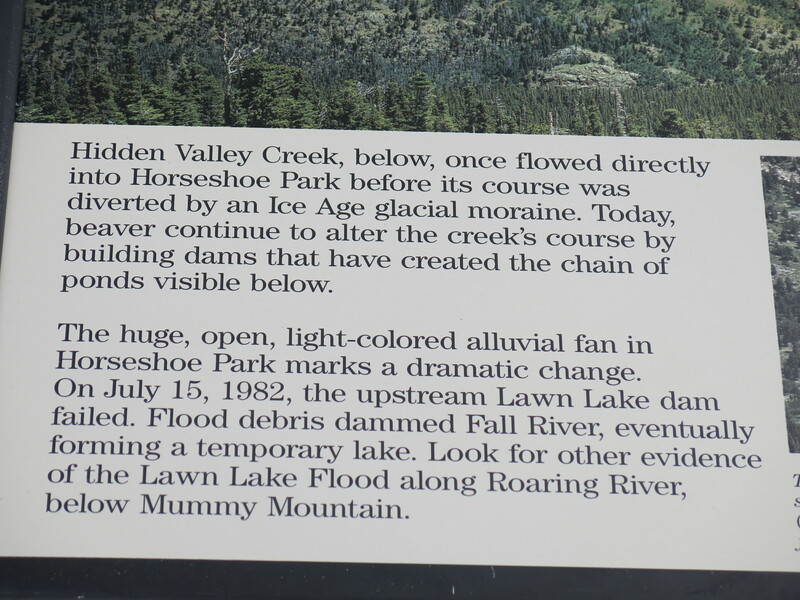 We saw several lakes, including Lake Granby, all fed from the Colorado River. We saw a large crowd of stopped cars and sure enough, there was a large animal sighting down below. We crossed the road and walked near and could just make out three moose down in the willows. A bull moose, young bull moose, and one unknown (I only saw his rump). I never did see a whole moose, just bits and pieces of moose busy eating the green leaves. 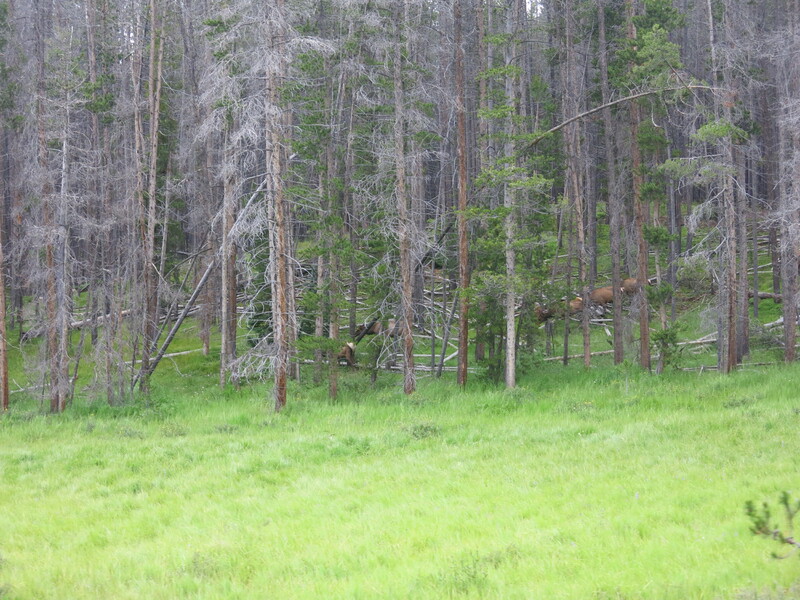 What a day though… three moose at once! Further along Hwy 34, not ten feet from the highway, I saw 3 big horn sheep grazing on the hill, on the driver’s side of the truck as we drove past. No way to get a picture but I enjoyed the sight immensely! it was amazing countryside along this route…. we went through lots of mountain tunnels, and it looks like they are building a new one. It was a long day for John, driving 225 miles. If not for the closed roads, it probably would have only been 150 miles today. 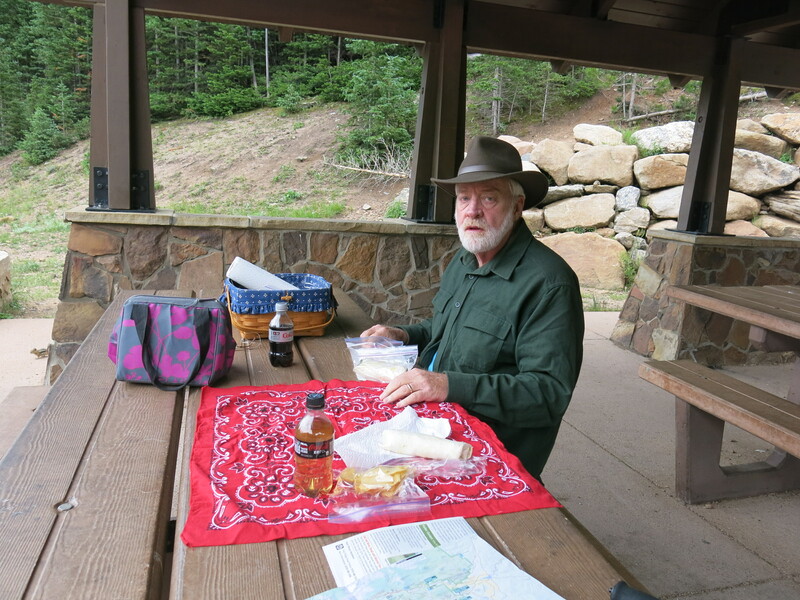 We got back to camp and relaxed before dinner, and started planning our route east. We leave with the caboose in the morning, with lots of new memories and plenty of photos! 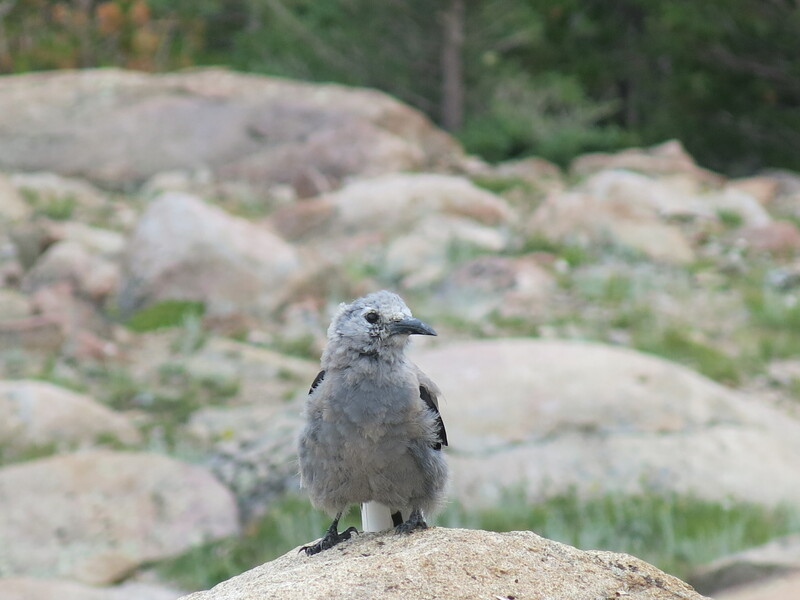 This entry was posted in Birds, Colorado, Elk, Moose, Nature Trails, Wildflowers and tagged Alpine Visitor Center, Beaver Meadows Visitor Center, Big Horn Sheep, Clark's Nutcracker, Dakota Ridge RV Park, Elk, Hidden Valley Picnic Area, Moose, Rocky Mountain National Park, Trail Ridge Road, wildflowers. Bookmark the permalink. 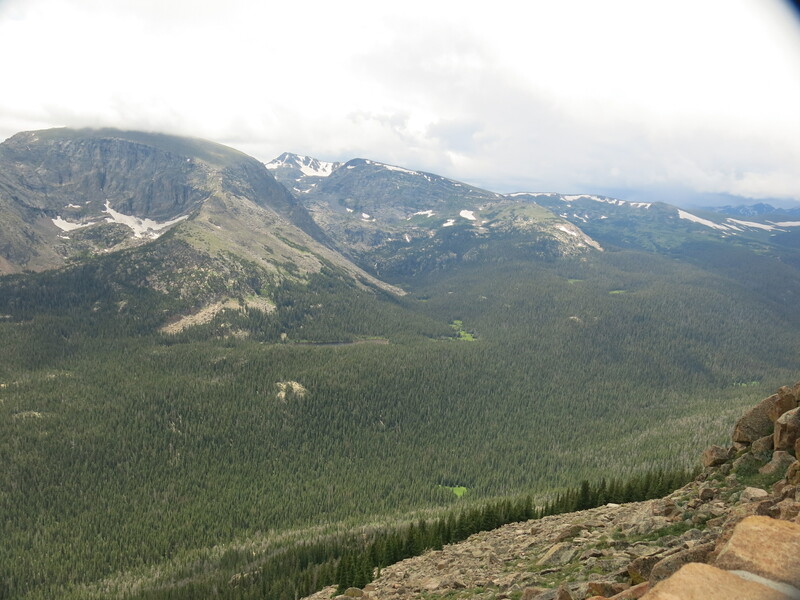 I love Rocky Mountain National Park! Love your pictures. So exciting to see moose! We’ve never seen moose in the lower 48! Safe travels home. Thanks Beth… moose are a favorite and we were excited to find them in a group! 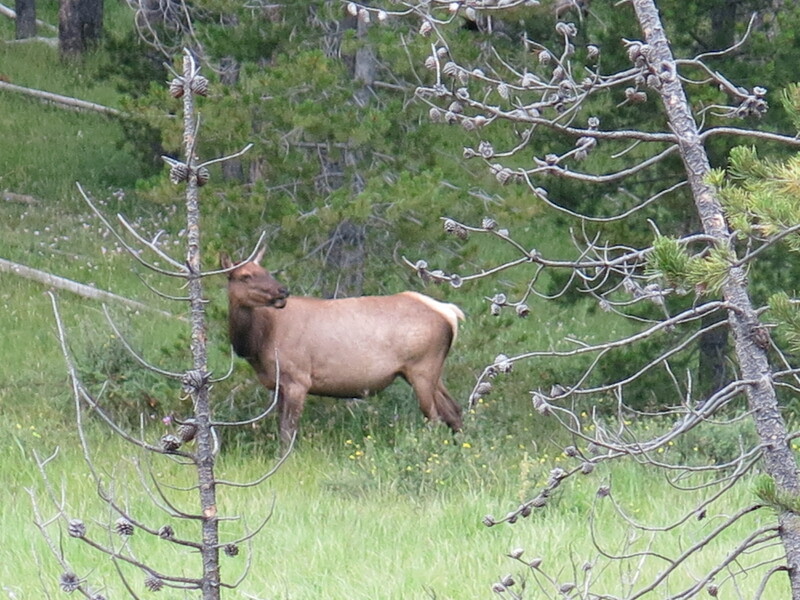 Wish I had photos of the big horn sheep… we see them less often than moose! Sounds like a great place to camp and a nice trip… I am looking forward to your photos, wondering what wildflowers will be blooming by then! Have fun and safe travels, Ingrid. 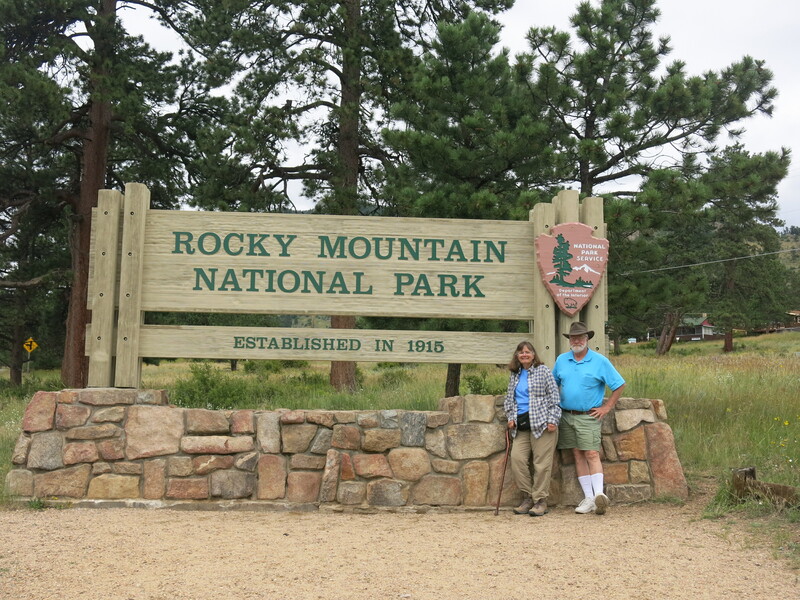 Really enjoyed the Rocky Mountain memories:) Our daughter hadn’t been there since she was ten years old. So we flew her out a year ago June (she is now 33). 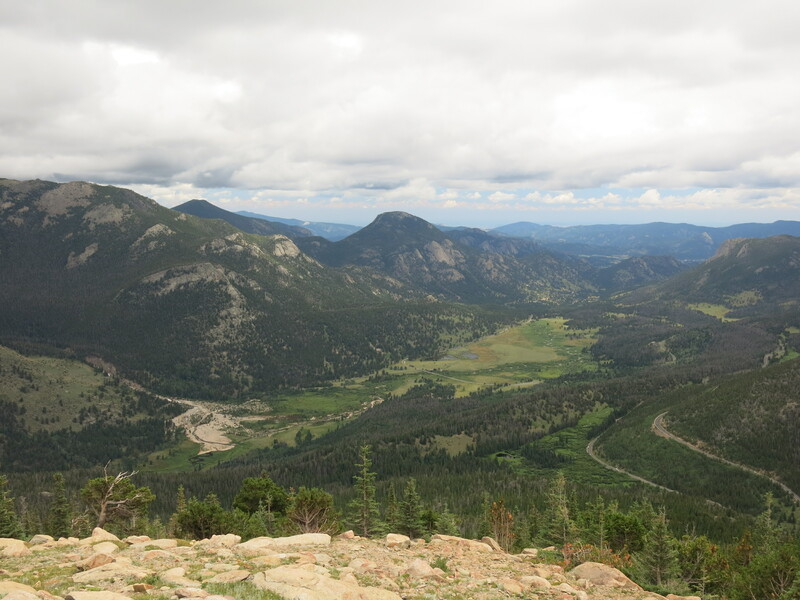 We stayed in Estes Park and did five days of hiking in the park. She is runner so she had no trouble with altitude. She went from 900′ to 8500′ in a few hours and was fine. 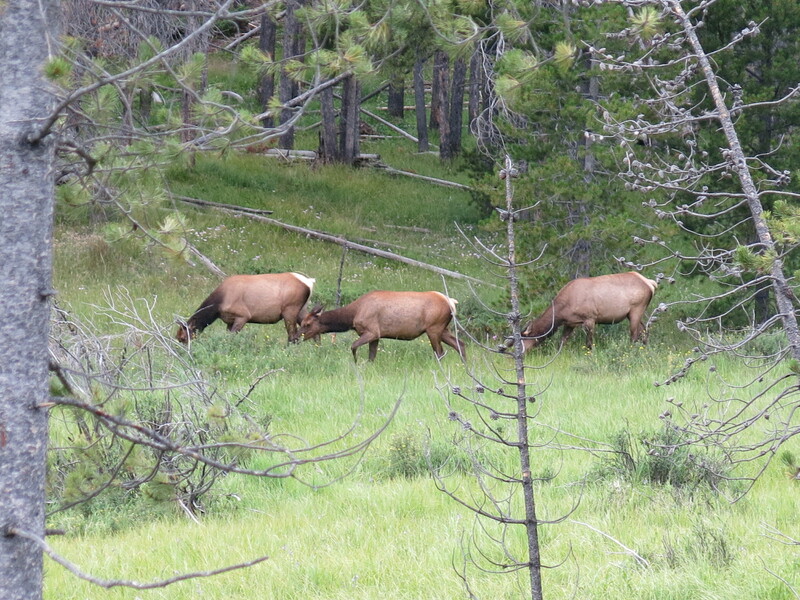 We all enjoyed the hundreds of elk wandering the town. I’ve never seen many bulls in one place. I had to laugh at your photos of the Alpine Visitors Center. At the beginning of June the front had just been shoveled out. The snow was still higher than the roof! It sounds like the snow hung around this year at Rocky Mountain as long as it did in Glacier NP. I followed Glacier’s plowing efforts of the Going to the Sun Road and Logan Pass from time to time via webcam and photos. That much snow is just unfathomable!